Uphold STA's motto: "SOLIDARITY, RESPECT and INTEGRITY"
STA* currently has a founding membership of 29 DYNAMIC, DEDICATED, HARDWORKING Women with Brilliant Ideas who have proven their worth, each excelling in her respective field of expertise. 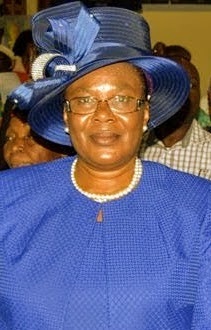 Ruth Bokwe Ayukesong, Class of 1977, is 57 years old. A founding member of STA . 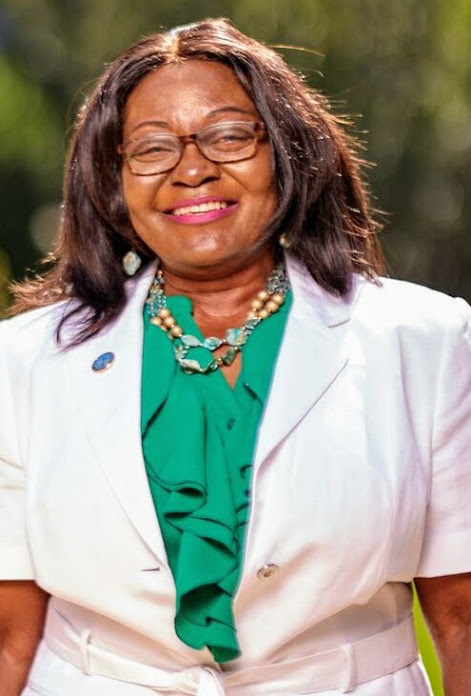 She has a B.sc in Business Administration from Southeastern University, a Post Baccalaureate Certificate as an Attorney’s Assistant from Roosevelt University and received her graduate degree an M.sc in Human Services from the Jewish Institute in Chicago. Ms Bokwe Ayukesong is currently the Bureau Chief for Domestic Violence, Sexual Assault & Human Trafficking, Public Service Administrator at the Illinois Department of Human Services. She has a career span of thirty three (33 ) years in varied fields, in Organizations/companies which includes; International marketing & Sales, legal, and Social Services with emphasis in Policy Implementation, Fundraising, Project management & Leadership. Ms Bokwe –Ayukesong Ruth brings to the STA a vast world of experience working with non-for-profit social services Organizations. In addition to management, Ms Bokwe Ayukesong was a “village” Committee member for 10years in Hanover Park, Illinois (Sister Cities). Federal grant reviewer on HIV/AIDS in Cape Coast Ghana. She is a certified American Red Cross, HIV/AIDs Prevention Instructor. 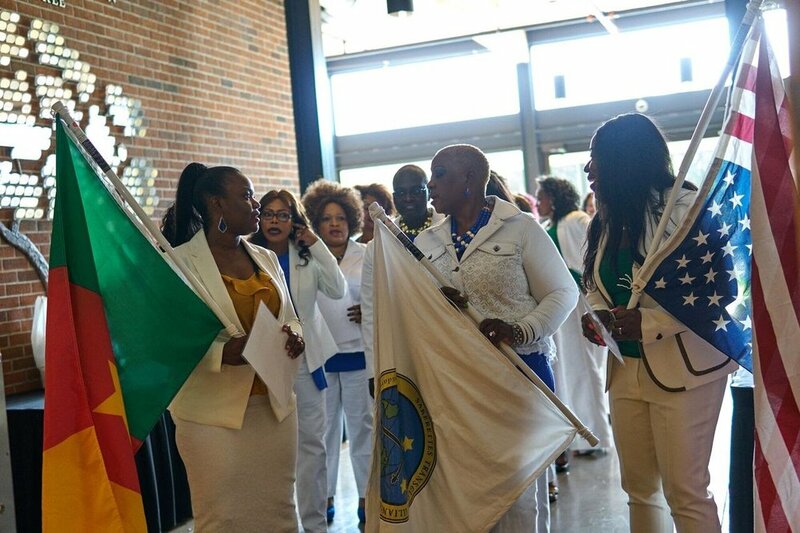 Volunteered for KOVLER (an organization that helps political asylees), volunteered with the Chicago Women with AIDS Project and a member of the Life Changers International Church in Hoffman Estates, IL. She enjoys her daily “quiet time” with the Lord, cooking, reading, travelling, music, theater and gardening. She currently resides in Hanover Park, Illinois and has a son Quentin. Christopher is a native of Cameroon, from the dynamic city of Kumba. He is a graduate of the University of Dschang with a combined degree in law and political science. He also earned a Maitrise in Business Law from the University of Yaounde II Soa, and a Masters of Law from the George Washington University Law School. He left Cameroon for the USA at the age of 25. He currently lives and works as an attorney in Washington, DC. Elvis Mukete is a Certified Public Accountant in the State of Texas. He has over 9 years experience providing quality auditing and accounting services to private and public companies around the world. His expertise range from financial statement, operational and compliance audits to providing advisory services to companies. He holds a Masters of Science in Accounting from the University of Houston, Texas. He is a senior Soban and has served as the Financial Secretary and Public relations officer for SOBA - USA. He and his wife Catherine are proud parents of three kids and reside in Richmond, Texas. Married to Daniel Etube. Primary School: Presbyterian Boys School Secondary and High School : Government High School Limbe 1982 to 1989. Was Senior Prefect from 1988 to 1989. Admitted into Obafemi Awolowo University Ile-Ife Nigeria to read Law. Graduated with a Bachelor of Laws degree (LLB) second class honors in 1997. Attended the Nigerian Law School in Bwari - Abuja from 1998 to 1999 and graduated with a Barrister at Law degree (BL). In 1999, was sworn in as a Barrister and Solicitor of the Supreme Court of Nigeria. In April of 2000, was sworn in as a barrister and Solicitor of the Supreme Court of Cameroon. Worked with Justice Law Firm, Mutengene, Cameroon from 2000 to 2003. In 2003 she relocated to the US. - Corpus Christi Texas. Secured a job with Hornblower, Manning & Ward Firm as a Paralegal in 2003. To further her education, in 2005 got admitted into The St.. Mary's University School of Law and in 2006 graduated with Master Of Laws degree (LLM) (honors) in American Legal Studies. While in Law School she continued to work for HMW firm. In 2007 was was admitted to the NewYork State Bar Association. In 2009 she relocated to Houston Texas and continues to work as an attorney. In 2013 she joined a financial broker /dealer organization World Financial Group whose mission is to make a difference for families and help individuals understand how money works and build a strong financial future. In 2015, she became a Senior Marketing Director with World Financial Group and her mission is to help families achieve their financial future goals.